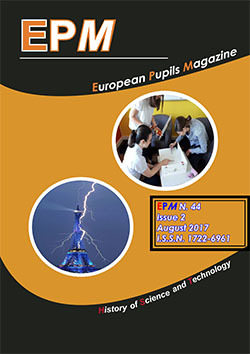 The EPM partnership is organising a Meeting to be attended next January 2010 in a European city (maybe Bucharest or Budapest) in order to enlarge the project group to other schools and university departments caring the History of Science and Technology education for their students. The secondary schools will apply for the Comenius grant and the universities will apply as associated partners, with fully insertion of their students and teachers in every project phase. If you are interested, feel free to ask info to Angelo or Nikos (replace AT bij @). The new EPM Issue 1/2009 is available! n. 7 EPM Collection 2003-2009 Multimedia CD is available!